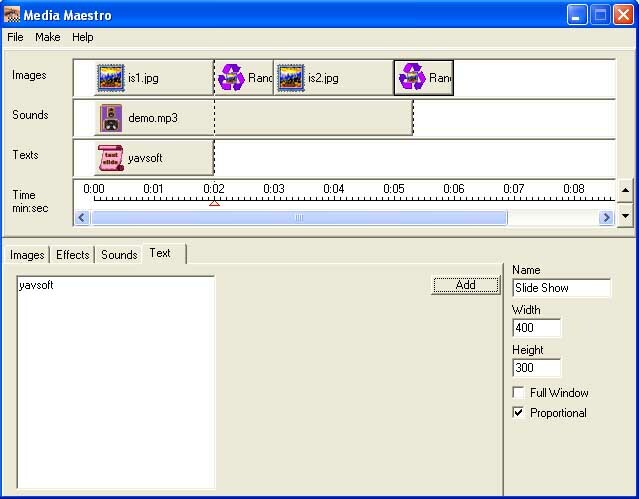 A tool to create professional-looking media presentations from your digital images with sound effects or background music. 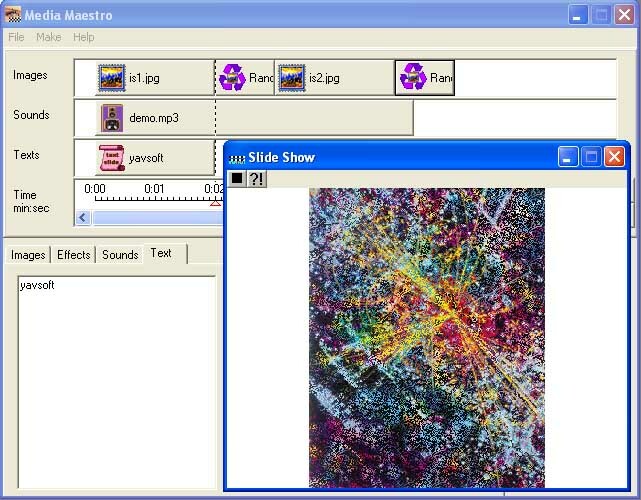 Media Maestro is a tool to create professional-looking media presentations from your digital images with sound effects or background music. The result can be a stand-alone executable file or the Windows screensaver. You can use this slideshow presentation or a screensaver for business purposes, advertising or to prepare genuine gifts to your friends.